Our department has a full compliment of fire and rescue equipment. We take pride in our gear and you will find us at the fire hall every Sunday morning cleaning up and going over all the equipment to ensure availability and working order. 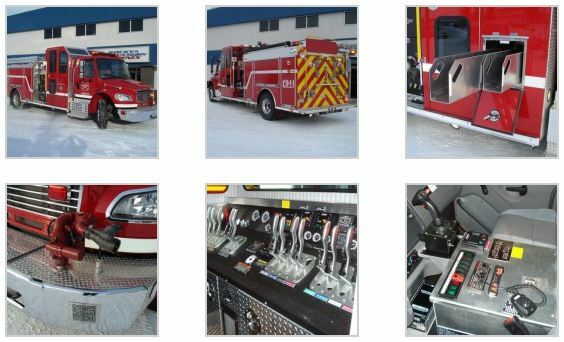 Rosenbauer 14′ Walk-Around Rescue constructed on a Freightliner M2 106 4-door cab chassis. The chassis features a 300 HP Cummins ISC engine mated to an Allison EVS-3000 transmission. 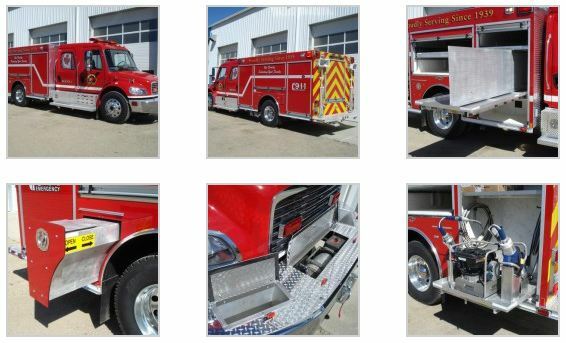 Rosenbauer Top Mount Enclosed Pumpers assembled on Freightliner M2 106 2 door cab and chassis. The chassis features a 350 HP Cummins ISC engine mated to an Allison EVS-3000 transmission. The apparatus carries a 1000 Imperial Gallon water tank, with 30 Imperial Gallons of Class “A” Foam. A Waterous CSD direct drive PTO pump moves water at a rate of 1050 Imperial Gallons Per Minute. Rescue 42 Vehicle Rescue Struts – lightweight, compact, telescoping stabilization tools designed for rescuer and patient safety during vehicle extrication. Fire Permits are required year round IAW Sturgeon County Burning Bylaw 1375/16.